Jim posted this piece describing that little “Charlie Brown” Christmas Tree on Facebook recently and it was also published in the Edmonds Beacon. 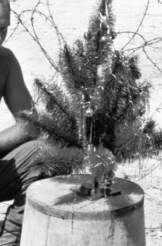 The photo, of different tree in Vietnam, was posted on Facebook around the same time as Jim’s post by another Vietnam vet. Past Post 8870 and District 1 Commander (Now Dept. 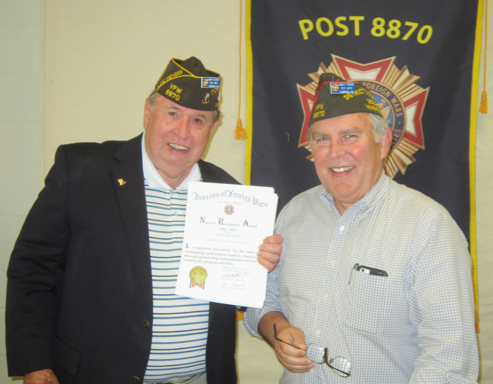 of WA Trustee) Jim Traner traveled to the 2018 VFW National Convention in Kansas City a few weeks ago and took the role of speaker for the July Post meeting to report on convention activities. Traner updated the Post on some changes coming to VFW bylaws and reported on the social events of the convention. Every year, thousands of VFW and Auxiliary delegates gather to represent the organization’s total membership of nearly 1.6 million at the weeklong convention. While there, our mission is to approve new national priorities to guide our organization as we lobby Congress on issues important to the nation’s veterans, service members and their families. Convention delegates also elect new leadership, as well as recognize prominent individuals and organizations for their support of veterans and military personnel. At the District 1 meeting on August 29, 2015, Jim Traner was recognized by the Department for publishing what has been judged to be among the best District newsletters in the state of Washington. A certificate of recognition was presented to Jim by Department Adjutant, Fred Green. 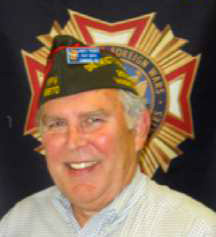 Jim served as District 1 Commander for two years, and he is the founder and editor of the award winning newsletter. He has served in that capacity for the past four years and has worked diligently to publish the monthly newsletter. Jim was elected Post Commander in July 2009 and served in that role for three years. Prior to being elected to that leadership position, he created our Post newsletter, which, since its inception, has also received Department honors. Both the Post and District newsletters are published monthly. Jim served as District 1 Commander from 2012 until 2014. For the past two years, he has served as Chief of Staff for District 1 Commander Don Wischmann. 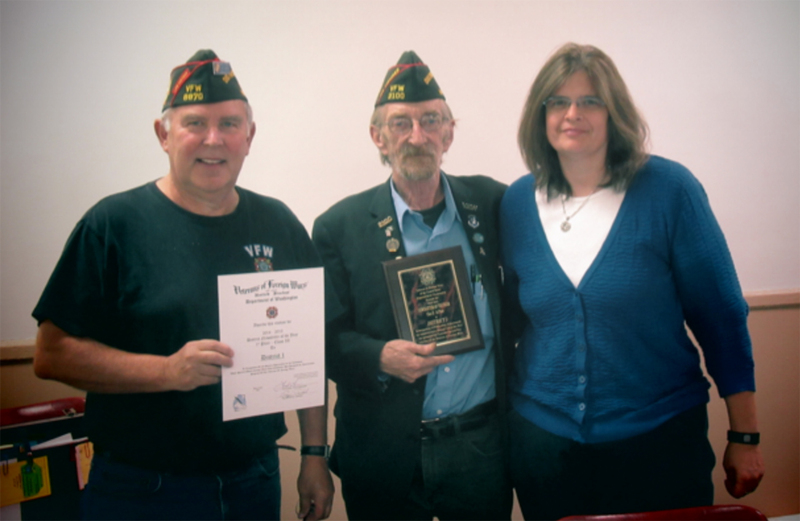 Representing the Department, Past Post and District 1 Commander, Jim Traner made several presentations to Commander Jim Blossey to recognize our Post’s achievements in various VFW programs. The Post newsletter continues to be one of the best in the State of Washington, receiving second place honors. In past years, our newsletter editor, Jim Traner, has been recognized as the best in the state. Post #8870 was recognized for its continual participation in and support of the Patriot’s Pen and Voice of Democracy student essay competition, Scouting program, as well as the teacher recognition program. Our Surgeon, Al Boyett, was recognized for the efficient and timely reporting of our Community Service and Hospital reports, and similar recognition was afforded to Chaplain, Fred Apgar. Finally, our Post was recognized for its continued financial support of the USO at Sea-Tac. A few days ago I had the privilege of speaking with a class of 5th graders at Mukilteo Elementary School. These 10-year-olds were some of the sharpest young people I have ever met.. They had been studying the U.S. Constitution and their teachers wanted them to meet some actual people who had put their lives on the line to protect the liberties that are so eloquently enumerated in that magnificent document. Past Commanders Fred Apgar and Jim Traner also spoke that day, at different times and—I presume—to different classes. The next day their teachers seny us a few excerpts from the comments the students had written down. Clearly, they were listening. More importantly their words pointed to the content of our remarks, not to us as speakers. They recognized that service, particularly military service, is about real people and—in most cases—people that live right here among us. The students identified with the idea that when we served we weren’t much older than them. They wanted to know how we felt at the time and what motivated us to become part of the military. We told the truth—that very few of us joined because we wanted to be patriots. But we also told how every one of us came to realize the importance of what we were doing and that we were fighting, not so much for the vague ideals of freedom and democracy, but for family and loved ones…and for future generations. In other words, for them. I’m glad they wrote those words on paper rather than saying them to me in person, because I’m not sure I could have retained my composure. What is important for all of us to know is that this is how most people feel about us. And what I want you to know is how special it is to be able to touch these young people’s hearts.